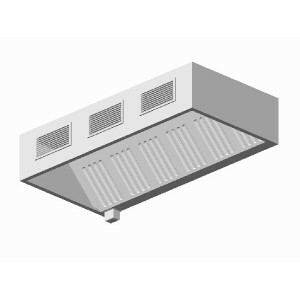 AllStrong custom Canopy Exhaust Hood with Make-Up Air Plenum is designed to be versatile and provides exceptional capture and containment of cooking vapors within kitchen workspace with clean and fresh air. 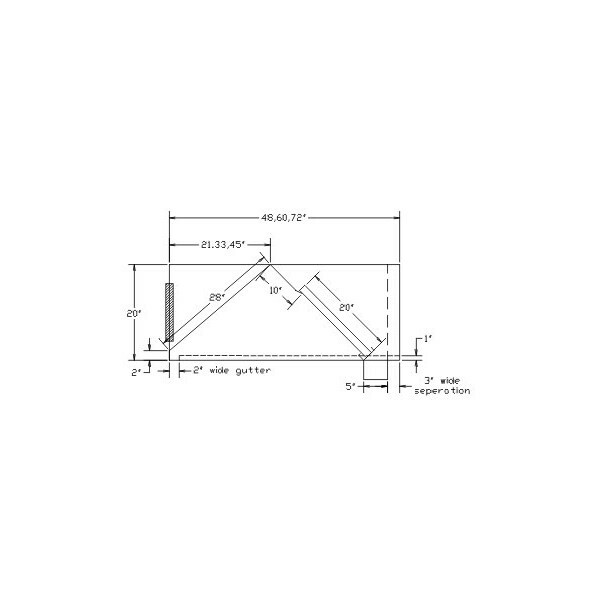 It is built to the highest commercial standards approved and certified in accordance with NFPA code 96 and ETL certified. The Hood unit is fabricated entirely of stainless steel. Unit comes equipped with front adjustable air register on hood. Standard features are galvanized "UL" approved baffle type filters or optional in stainless steel, hanger brackets and grease cup. EX-MUA48-C 48" 48" & Up 28 Lbs/Linear Ft.
EX-MUA60-C 60" 48" & Up 34 Lbs/Linear Ft.
EX-MUA72-C 72" 48" & Up 38 Lbs/Linear Ft.